My new compost seems to be doing much better. The worms are wiggling, fat and happy. And with the help of a layer damp newspaper on the top, we have licked our fruit fly problem. Tomorrow I will get more boxes from my father’s house and make that home-made worm box so that I can give the 2nd and 3rd grade class their rolly pollies and worms back. In the meantime, I’m excited about the payback from my composting travails. As you see above, I am the proud farmer of a real live radish. In fact, my windowsill garden is doing great. With the exception of my thyme, my other herbs are thriving. The Swiss Chard my sister gave me last spring is growing healthy and strong. As the summer heat grew more chilly, the Swiss Chard really perked up. And even inside, it’s doing great. In early September, I planted a circle of radishes around the chard. And last week, I saw a red and white top starting to poke out. This weekend I hope to have my first harvest. I read that with radishes you can stagger the plantings. 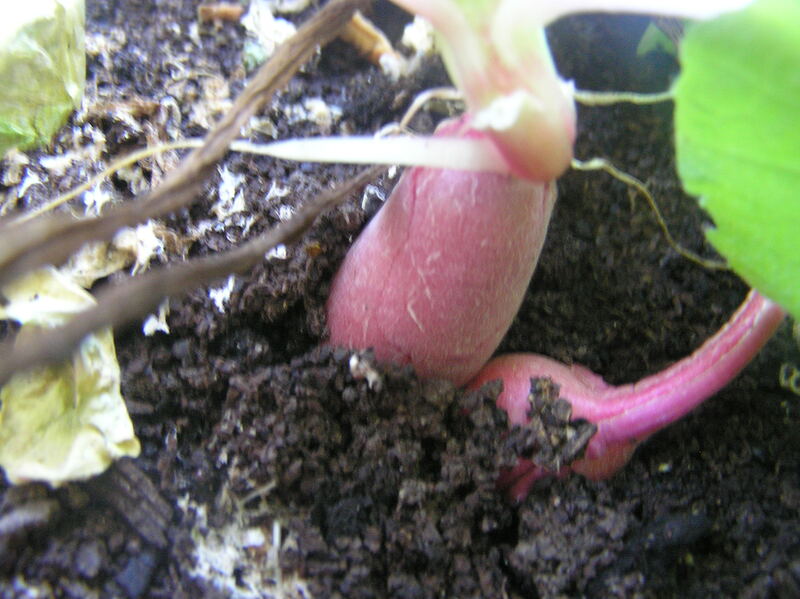 So when I emptied the fruit-fly infested compost bin, I used my pot of compost to plant lettuce and more radishes. 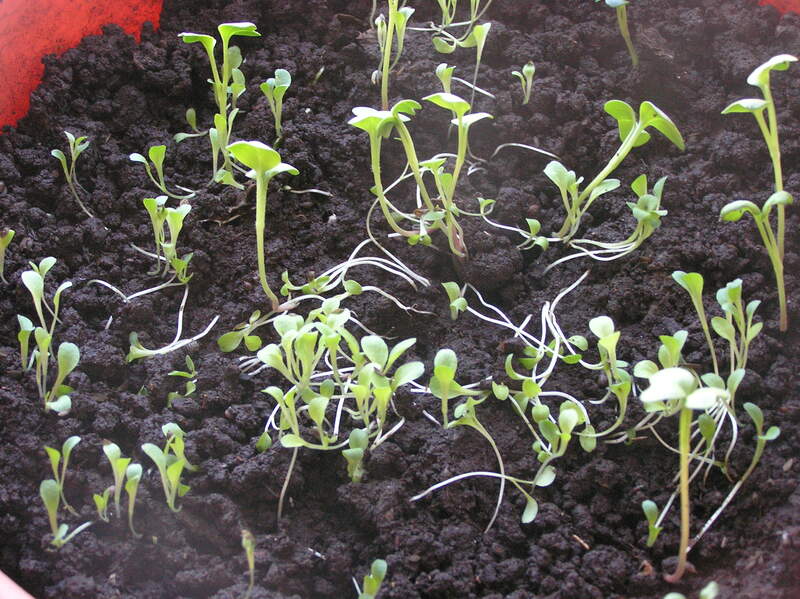 The seedlings are definitely sprouting and I’m very proud. Is growing food in your living room urban farming? I’m not sure. I want to look into growing tomotos. But beyond that, I’m not sure how much more I’ll do. So for the moment, fresh eggs or no fresh eggs, we are not getting a pet chicken.